Samsung Galaxy Grand 2 SM-G7105 user guide manual – Samsung Galaxy Grand 2 release date since January 2014 and the big Korean company also added LTE enabled for this device. Samsung Galaxy Grand 2 now just available on some countries outside United States, but seem that it will arrive soon. 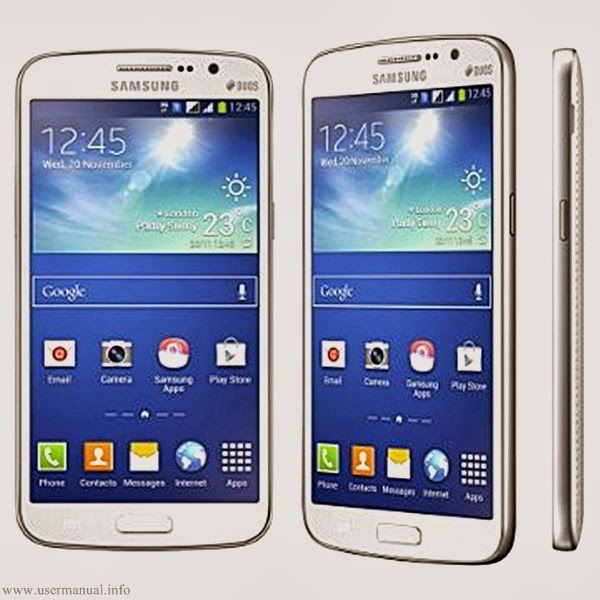 Samsung Galaxy Grand 2 is successor of Samsung Galaxy Grand and getting some improvements for performance and key features. Samsung Galaxy Grand 2 available two versions first Samsung Galaxy Grand 2 SM-G7105 with dual card SIM slots and SM-G7105 with LTE network support. Samsung Galaxy Grand 2 Sm-G7105 equipped with specifications and key features such as: 146.8 x 75.3 x 8.9 mm (5.78 x 2.96 x 0.35 inches) in dimension with 163 g (5.75 oz) in weight, 5.25 inches TFT capacitive touchscreen display 16 million colors 720 x 1280 pixels screen display with multitouch support, microSD up to 64 GB, 8 GB internal storage, 1.5 GB of RAM, 8 megapixel rear facing camera with autofocus and LED flash, 1.9 megapixel front facing camera, run Nadroid 4.3 Jelly Bean operating system, powered by 1.2 GHz quad core processor, Li-Ion 2600 mAH battery with up to 370 hours of stand-by time and up to 17 hours of talk time. Samsung Galaxy Grand 2 SM-G7105 user guide manualavailable to download in pdf file format with MB size and contains of 132 pages. Samsung Galaxy Grand 2 SM-G7105 manual pdf will helps new owners, users and buyers to know more about the device with helpful information and explanation for key features, functions added, settings and some solutions on troubleshooting section.